This page contains the Awakening Guide which includes information on Skill level in Dragon Quest Heroes 2. We will be updating this as we go along. 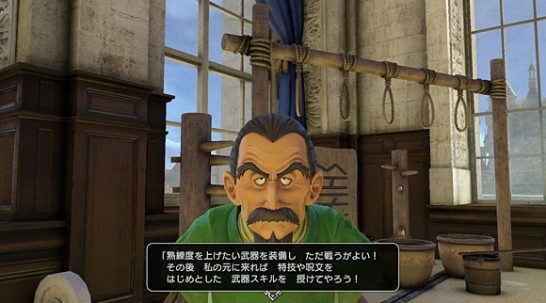 This article contains the Awakening Guide which includes information on Skill level in Dragon Quest Heroes 2. Whenever a character uses Weapons, it raises the Skill level. With higher Skill level, this allows him to obtain new Skills. Using Weapons entails that the character must be present to engage in combat against the monsters. By increasing the Skill level, the character will be able to specialize in certain Spells, Skills, Special Effects while equipped with that specific Weapon that has been wielded during combat. In order to determine the current Skill level, you need to talk to the Instructor inside Zebion Castle. With a High Weapon Skill level, he will teach a New Spell, Skill and Special Effects. By using the same Weapon over and over, you will soon specialize in the character’s Skills, making him more efficient during battle. Similar to Skills acquired through Skill Points, Weapon Skills can be assigned through the Skill Menu for combat use.